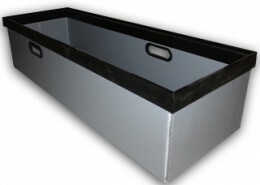 We can manufacture bespoke containers and trays using solid as well as corrugated plastics. They are available in different weights, are not affected by moisture, and provide maximum life-span while being recyclable. As these are bespoke we can incorporate stacking rims and handles if needed. 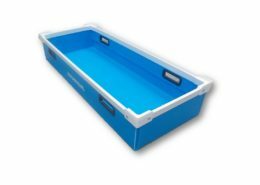 They provide a flexible alternative to rigid plastic containers, but have the benefit of being tailored precisely to the required dimensions for your project. They are durable, hard wearing, lightweight, reusable, and are customisable through additional dividers, inserts, foam and printing. Please click on the below portfolio images to see examples of our bespoke packaging solutions.